At 1:00 p.m. on Tuesday, January 22 and January 29, faithful people of all traditions will gather at the Burlington ICE office – Immigration and Customs Enforcement. We walk in a spirit of prayer around the facility – led by a Cantor with a Shofar (a ram’s horn instrument). We end with a brief worship service across from the ICE building. 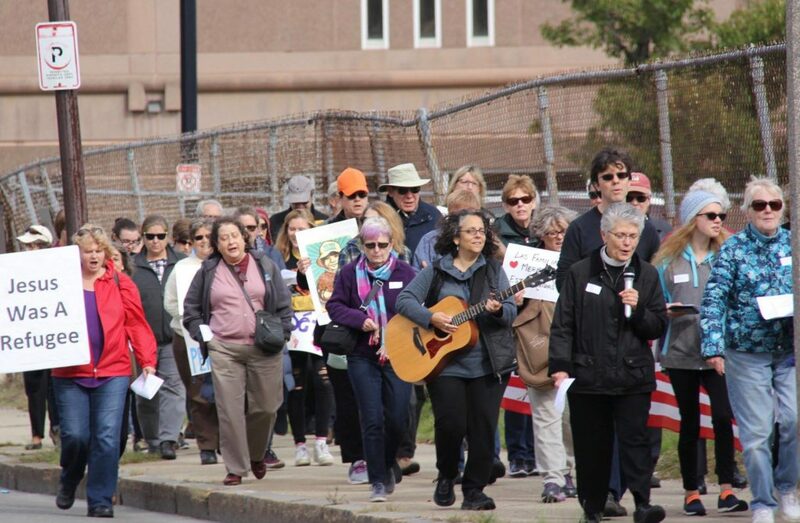 The Burlington Interfaith Council sponsors these walks. They last a bit less than an hour. But, there is opportunity for fellowship and sharing at the end. The address is 10 New England Executive Park. There is plenty of parking.